In September 1965, the City University first opened the doors to the freshly minted College of Police Science in Manhattan’s Gramercy Park neighborhood. From its earliest days, the school—renamed the John Jay College of Criminal Justice in ‘67— would rightly stand apart from the rest of CUNY’s offerings. Its initial location within New York City’s existing Police Academy was hardly the grounds of a traditional campus. And its first class of 1,000 students was unlike any other as it consisted exclusively of active officers in the city’s police force, many of whom were in their thirties with full-time jobs, families, and decades-long removal from the classroom. Yet John Jay’s distinctions were fitting given the distinctiveness of its founding mission of providing a well-rounded education for those in the law enforcement community. When the college opened in 1965, its creation was only made possible by the combined efforts of several prominent New York leaders, including most notably: Robert F. Wagner Jr., the city’s mayor; Michael Murphy, the police commissioner; Anna Kross, the commissioner of corrections; Patrick Murphy, the commissioner of the Police Academy; and Albert Bowker, chancellor of CUNY. 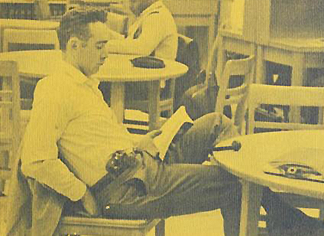 Initiatives undertaken by several from this group had led to the creation of police-focused programs at Brooklyn and Baruch Colleges in the 1950s, yet John Jay marked the first higher educational institution dedicated to police science in New York. Its creation came at a time of increased pressure nationwide to expand police education. Within a year of the college’s opening, recent graduates from the city’s high schools joined the previously all-police population. In subsequent years, the college would relocate to accommodate an expanding curricula and student body that was also diversifying thanks to Open Admissions. Today, John Jay offers study in a range of disciplines yet its commitment to “educating for justice” remains. This collection features an assemblage of oral history interviews conducted by Gerald Markowitz, a distinguished professor of history at the college. The interviews, collected in advance of the college’s 25th and 40th anniversaries, served as research for his book, Educating For Justice: A History of John Jay College of Criminal Justice (2004). Among those interviewed were Mayors John Lindsay and Robert F. Wagner Jr., professor William Walker, and provost Basil Wilson. This collection, which will be expanded to include newly digitized interviews, is drawn from the Special Collections division of the Lloyd Sealy Library at John Jay College of Criminal Justice and focuses on many aspects of the college's history including its conception and creation, funding, the college and classroom environment, police education and administrative perspectives. Additional information regarding the college's history can be gathered from a digital exhibition put together by the college for its 50th anniversary. There are 5 items in this collection. Go to all 5 Items in collection.